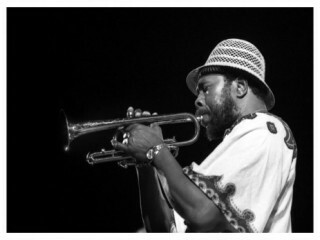 Birthplace : Pontiac, Michigan, U.S.
Thaddeus Joseph Jones was an American jazz trumpeter, composer, and bandleader.During the 1950s Thad Jones emerged from the postwar Detroit jazz scene to become an exemplary trumpeter, cornetist, composer, and arranger. A member of a musical family, he shared fame with his older brother Hank, a pianist, and his younger brother, Elvin, who helped to redefine the art of jazz drumming. As Ira Gitler noted in the liner notes to Elvin!, "Of all the talented families in jazz, I don't think there any who surpass the three Jones boys." While his brothers earned worldwide recognition, Jones continued on his own creative path as cornetist and arranger with the Count Basie Band and as a co-founder of the Thad Jones-Mel Lewis Orchestra. "Thad is a man of purpose," wrote Raymond Horricks, in Count Basie and His Orchestra, "a deep thinker and idealist in his music almost to the point of aestheticism ... He abhors flashy, gallery-fetching tactics in music, believing that if a musician doesn't set out to be creative then there is no point in his playing at all." For nearly half a century, Jones carried forth his creative vision, leaving behind a wealth of compositions, arrangements, and recordings that continued to be studied and performed throughout the world. Thaddeus Joseph Jones was born one of ten children on March 28, 1923, in Pontiac, Michigan. Jones' father, a Baptist deacon, played guitar. Over the years, the Jones household resonated with the sound of the piano played by Thad's older sister, Olive, who performed at classical recitals, and brothers Hank and Paul. In The Jazz Scene: An Informal History From New Orleans to 1990, Jones recalled how the family radio tuned in "a lot of symphony music, especially on Sundays." Thad too listened to radio broadcasts of Louis Armstrong, and after hearing the trumpeter perform in Detroit, became determined to become a trumpeter. Given a second-hand trumpet by his Uncle Williams, Jones soon switched to cornet when he joined the school band (throughout his career Jones performed primarily on cornet). Taught only the rudiments of trumpet in school he pursued the study of his instrument primarily through the use of instruction books. At age sixteen, he and his brother Hank played in a semi-professional ensemble, the Arcadia Club Band, which performed for school functions and weekend events. In 1941 Jones left the Arcadia Band to perform on a Southern tour with Connie Connell's band. Following his two-year stint with Connell, he played a short engagement with the twelve-piece band of Red Calhoun. Drafted into the military during 1943, he was inducted at Camp Walters, Texas. Though he assigned to checking army cargo, Jones did, a few months before his discharge, join a military band sponsored the 8th Air Force Special Service Division. Following his discharge in Des Moines, Iowa, in 1946, Jones played an engagement at the Silver Slipper Club before joining the band of Charles Young in Oklahoma City. Jones later recalled, as quoted in Count Basie and His Orchestra, "Charles Young was the most talented cat I've ever met. He played trumpet, clarinet, baritone, piano, could swing on everything, sing like a bird and write like a demon." With the sudden death of Young at age twenty-six, Jones took over the unit for six months, until the failing health of his father prompted his return to Pontiac. In the Detroit area Jones formed a quintet which included his brother Elvin on drums. Without landing sufficient work, however, Jones went on the road with saxophonist Candy Johnson's band and then worked with the band of Jimmy Taylor. In 1952, he appeared in the house band at Detroit's Blue Bird Inn--an ensemble featuringhis brother Elvin, saxophonist Billy Mitchell, bassist James "Beans" Richardson, and pianist Barry Harris. Years later, Mitchell recalled, in Swing to Bop, how the band greatly benefitted from "Thad Jones' imagination" as a horn player and arranger. During his two-year stay in the Bluebird house band, Jones too performed with numerous local talents such as guitarist Kenny Burrell and pianist Tommy Flanagan. In the Detroit News, Flanagan commented that the early 1950s at the Bluebird proved "a great time. Thad was writing all these original things. The music was played with such high caliber of musicianship." While at the Blue Bird Inn, Jones and his brother Elvin took part in Mitchell's sessions for the Detroit-based Dee Gee label, owned by Dizzy Gillespie and Dave Usher. During a visit to Detroit at this time, Charles Mingus heard Jones, and shortly afterward expressed, as quoted in Mingus: A Critical Biography, that "I just heard the greatest trumpet player that I've ever heard in this life. He uses all the classical [compositional] techniques, and is the first man to make them swing." In May of 1954 Jones joined the Count Basie Band. In his autobiography, Basie related how, after arriving back in America from Europe, he needed "to replace Joe Wilder in the trumpet section, and Frank Wess recommended Thad Jones." As Basie added, "He moved right in and became one of us." After recording on the Clef label with Basie, Jones performed on Basie's 1955 Verve dates which included his celebrated solo on the Basie hit "April in Paris." As a member of the Basie Band, Jones backed vocalist Joe Williams on sides which featured such classic Williams numbers as "Everyday I Have the Blues," "The Comeback," and "Alright, O.K. You Win." Beginning in August 1954, Jones went into the studio to complete sessions for his album, Thad Jones, for Max Roach's and Charles Mingus' Debut label. The critically acclaimed LP utilized two different groups: one featuring Charles Mingus and Max Roach and another guested by Mingus, Hank Jones, and drummer Kenny Clarke. In regard to the Jones-Mingus-Roach ensemble, Nat Hentoff wrote, as quoted in the album's liner notes, "Thad's tone, technique, and his maturely inventive imagination are constantly exciting and sometimes break into startlingly forceful phrases." In 1956 DownBeat awarded Jones the "New Star Award." That same year, in his work Encyclopedia of Jazz, Leonard Feather listed Jones' Blue Note Lp Detroit-New York Junction as one of the finest new jazz albums. In the liner notes to the 1957 Blue Note album, The Magnificent Thad Jones, featuring former Detroiters Billy Mitchell, Barry Harris, and Kenny Burrell--Feather described Jones' emerging talent as "magnificent." In 1957 Jones appeared with the Count Basie Band at a command London performance for Queen Elizabeth, an occasion commemorated in Jones' composition "H.R.H. (Her Royal Highness)." Between November and January of the same year, Jones recorded with saxophonist Sonny Rollins.At this time he continued to earn the praise of leading jazz critics. In 1958 Whitney Balliett wrote, as quoted in his work the Sound of Surprise, "Thad Jones is a brassy, sure-footed trumpeter whose solos are now and then so perfectly structured they appear to have been carefully written out before- hand." In the liner notes to Basie's 1959 album, Chairman of the Board, Leonard Feather too noted that "Thad Jones has provided some of the pointedly modern sounds emanating from the trumpet team during the last five years." Arranged by Jones, the Lp featured several of the cornetist's original compositions, "The Deacon," "Speaking of Sounds," and "Mutt and Jeff" (previously recorded by Jones as "Sput `n' Jeff"). In 1959 Jones once again assembled several former Detroit jazzmen- -Kenny Burrell, Tommy Flanagan, and bassist Paul Chambers--to record his solo effort, Motor City Scenes which contained a fine collection of original compositions. In July 1960 and January 1961, he arranged the majority of the material for sessions with singer Sarah Vaughan. Released as the Roulette album Count Basie & Sarah Vaughan (minus Basie who sat out the dates in favor of Sarah Vaughan's regular pianist Kirk Stuart), the Lp featured twelve of Jones' arrangements, including Vaughan's outstanding performance of "Perdido." In sessions that took place in the winter and summer of 1961 Jones, along with Basie bandmembers Frank Foster and Frank Wess, provided the horn accompaniment for his brother's first album Elvin! (Riverside 1962). In honor of his brother's debut effort, Jones contributed the original composition "Ray-El" (Elvin's middle name is Ray). Ira Gitler, in the liner notes to Elvin!, lauded Thad's cornet work on the Lp: "Whether he is playing open and pugently brassy as on 'Lady Luck,' or insinuatingly and muted as on 'Buzz-at,' he is always vital." In March of 1962, Jones re- entered the studio to record Count Basie and the Kansas City 7, the third reincarnation of Basie's smaller seven-piece unit. The recording of the septet--which included Foster and Wess--featured Jones' original compositions "What'cha Talkin'" and "Trey of Hearts," the former of which Stanley Dance described, as quoted in the album's liner notes, as "ingeniously planned blues." While in Japan in February 1963, Jones worked on the film Asphalt Girl with pianist Roland Hanna. In late December of the same year, he played cornet in Thelonious Monk's ten piece big band at New York's Philharmonic Hall (Monk: Big Band And Quartet in Concert Columbia). Jones' fluid cornet lines on Monk's title "Four in One" earned him praise from several critics, including Steve Pekar, who in a DownBeat review, described the performance as a "majestic, brilliantly constructed solo." After leaving the Count Basie Band in 1963, he took a job as a CBS staff arranger. In May 1964, Thad joined his brother Elvin in a recording date for pianist and arranger Gil Evans at New York City's Webster Hall. Two of the session's arrangements, the blues traditional "Spoonful" and John Lewis' "Concorde," appeared on Evans' album The Individualism of Gil Evans. In 1965 Jones and Mel Lewis, a former sideman with Stan Kenton and Gerry Mulligan, formed theThad Jones-Mel Lewis Orchestra--an eighteen piece unit founded for the purpose of offering a creative outlet for New York-based studio jazz musicians. The ensemble performed every Monday night at Max Gordon's Village Vanguard. At this time, Jones, seeking a more appropriate tone for the orchestra's arrangements, performed primarily on flugelhorn. In Jazz from Its Origins to the Present, the book's authors--Lewis Porter, Michael Ullman, and Edith Hazel--noted Jones' contributions to the orchestra: "From the very beginning Jones' arrangements became more and more challenging, featuring fast, intricate ensembles for the winds, or opening odd spaces for duets." In The Jazz Book, Joachim E. Brendt, commented that Jones and Lewis "managed to appeal to a large audience and to create an orchestral jazz that, as swinging as it was in the traditional sense, was full of sounds and ideas never heard before." During Jones' co-leadership of the orchestra it included such stellar jazz talents as saxophonists Frank Foster and Pepper Adams, French hornist Peter Gordon, and pianist Roland Hanna. By the 1970s jazz educators had introduced the orchestra's charts to college ensembles, material that often included Jones' "Central Park North" (1969) and his most famous composition "A Child Is Born" (1970). During the 1970s the Thad Jones and Mel Lewis Big Band made several overseas tours, including a 1972 U.S. State Department sponsored tour of the Soviet Union. While in Yugoslavia in 1978 an unknown assailant caused injury to Jones' lip. Jones then decided to leave the orchestra and moved to Denmark where he briefly took up valve trombone, led the Danish Radio Orchestra, taught at the Royal Conservatory, and eventually resumed recording in a small group settings. In 1985, a year following Basie's death, Jones rejoined his former leader's big band. In an effort to bring the band a contemporary sound he commissioned new charts from the band's arrangers Frank Foster, Frank Wess, and Ernie Wilkins. As a result of failing health Jones resigned from the band and returned to Copenhagen, Denmark, where he died of cancer on August, 21, 1986. In The Jazz Book, Joachim Brendt lamented that with Jones' passing "contemporary jazz.... Lost one of its important composers and arrangers." -The Magnificent Thad Jones, Blue Note, 1956. -Motor City Scene, United Artists, 1959 Mad Thad, Period. -Thad Jones and Pepper Adams: Say What You Mean, Original Jazz Classics, 1966. -Thad Jones Quartet, Three & One, Steeplechase. -Thad Jones/Danish Radio Big Band, Live at Montmartre, Copenhagen, Storyville. -With Count Basie April in Paris, Verve. -Count Basie Plays, Joe Williams Sings, Verve, 1957. -Count Basie and the Kansas City Seven, (MCA, 1962), Impulse!, 1996. -Everyday I Have the Blues: Joe Williams, Count Basie and His Orchestra, Roulette. -Sing Along with Basie, Roullette. -Chairman of the Board, Roulette. -Basie in Sweden (Recorded Live in Concert), Roulette, 1962. -The Atomic Mr. Basie, Roullette. -The Best of Count Basie: The Roulette Years, Roulette, 1991. -The Essential Count Basie, Verve. -Echoes of an Era: The Best of Count Basie, Roulette, 1972. -Count on the Coast Vol. I, Phonastic. -With the Thad Jones-Mel Lewis Orchestra Presenting Thad Jones and Mel Lewis and the Jazz Orchestra, Solid State, 1966. -Presenting Joe Williams and Thad Jones, Mel Lewis, The Jazz Orchestra, Solid State. -Monday Night at the Village Vanguard, Solid State. -The Big Band Sound of Thad Jones and Mel Lewis, Solid State. -Central Park North, Solid State. -The Thad Jones-Mel Lewis Quartet, Artists House, 1977. -Thad Jones-Mel Lewis Orchestra, Blue Note. -With Others Charles Mingus Jazz Workshop, Impulse. -(With Sonny Rollins) Lust for Life, Drive Archive. -(With Frank Wess) Opus De Blues, Savoy. -(With Charles Mingus) The Complete Debut Recordings, Debut. -The Jazz Experiments of Charles Mingus, Bethlehem. -(With Thelonious Monk) 5 by Monk by 5, Original Jazz Classics. -(With Coleman Hawkins) The Hawk Swings Vol. I, Fresh Sound. -The Individualism of Gil Evans, Verve, 1964. -Thelonious Monk Memorial Album, Classic Performances From His Prestige and Riverside Years, 1952-59, Milestone. -Monk: Big Band and Quartet in Concert, Columbia. -Lionel Hampton/Rare Recordings Vol. I, Telarc. -(With Joe Williams) Jump for Joy, Bluebird. -(With Sarah Vaughan) I'll Be Seeing You, Vintage Jazz Classics. -(With McCoy Tyner) Today and Tomorrow, Impulse! GRP. -(With Jimmy Smith) The Cat, Verve. -(With Milt Jackson) For Someone I Love, Original Jazz Classics. -(With Ben Webster) Soulmates, Original Jazz Classics. -(With Shirley Scott) Roll 'Em, Impulse! GRP. -(With Joe Henderson) The Blue Note Years, Blue Note. -(With Horace Parlan) Glad I Found You, Steeplechase. -(With Kenny Drew) Lite Flight, Steeplechase. - Compilations The Definitive Jazz Scene, Vol. I, Impulse. View the full website biography of Thad Jones.